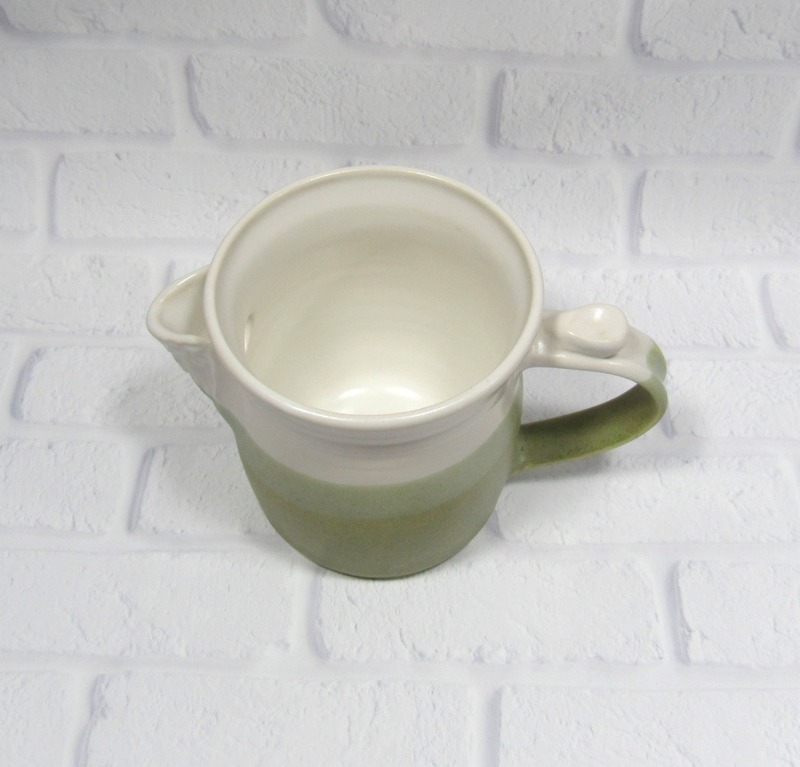 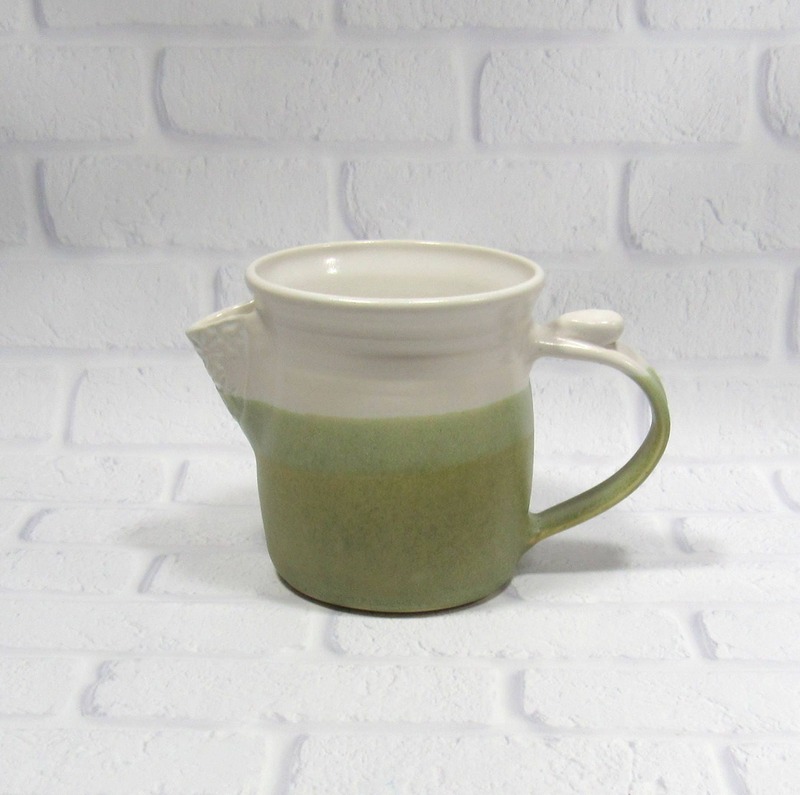 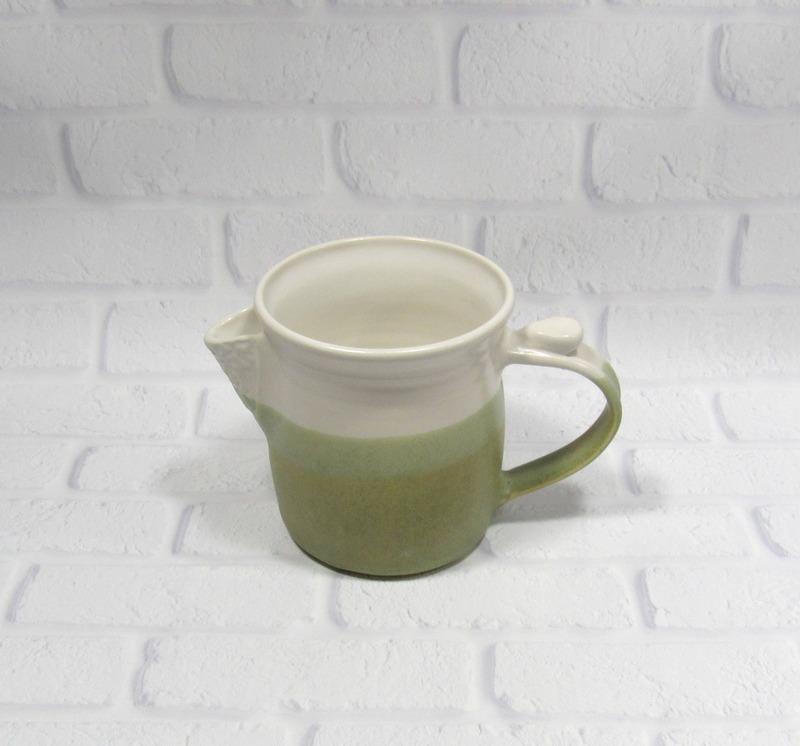 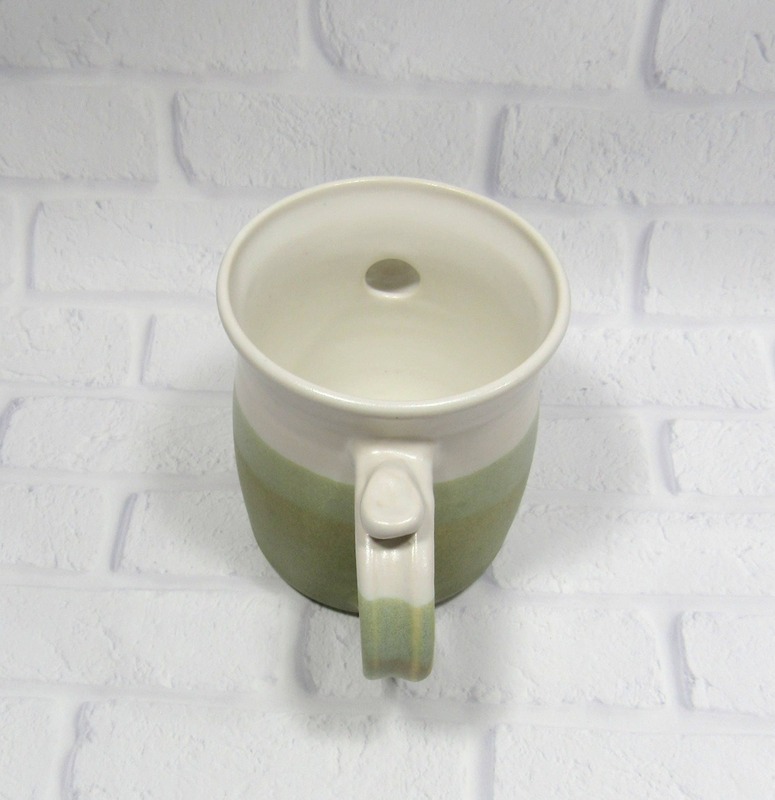 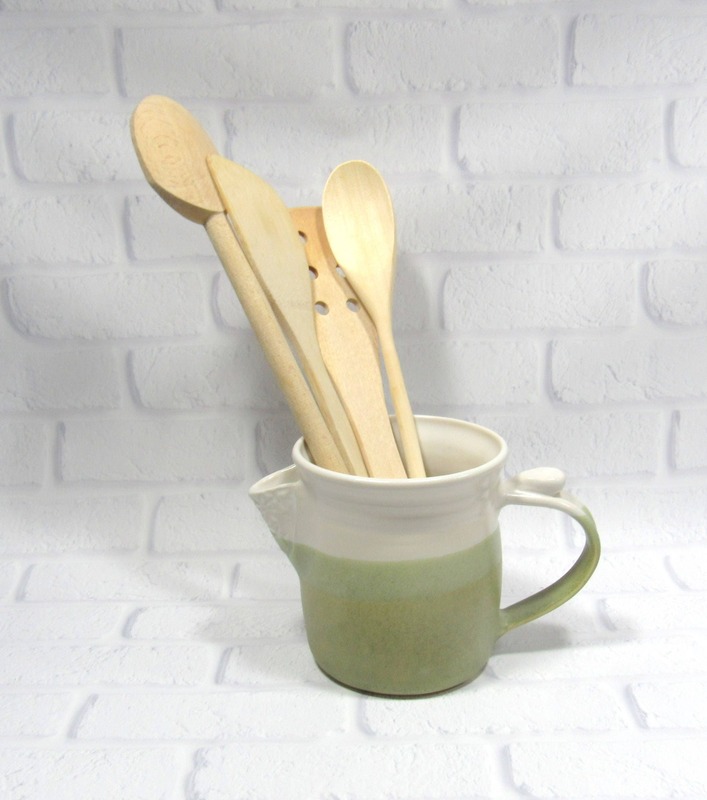 Use this ceramic pitcher as a water or milk jug, to store your kitchen utensils or to display flowers. 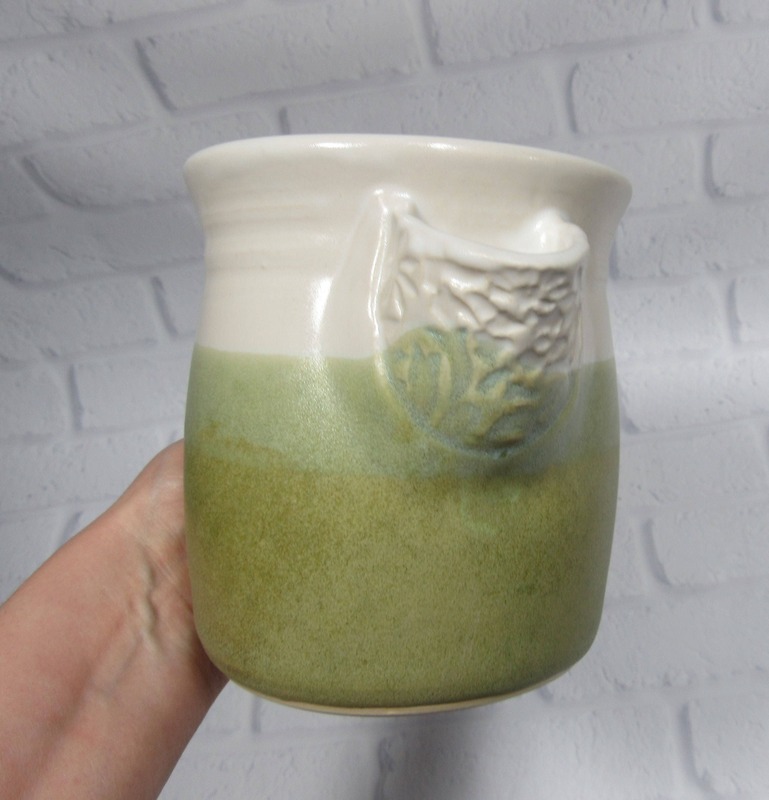 It is 5 inches tall and 4.25 inches in diameter at the mouth. 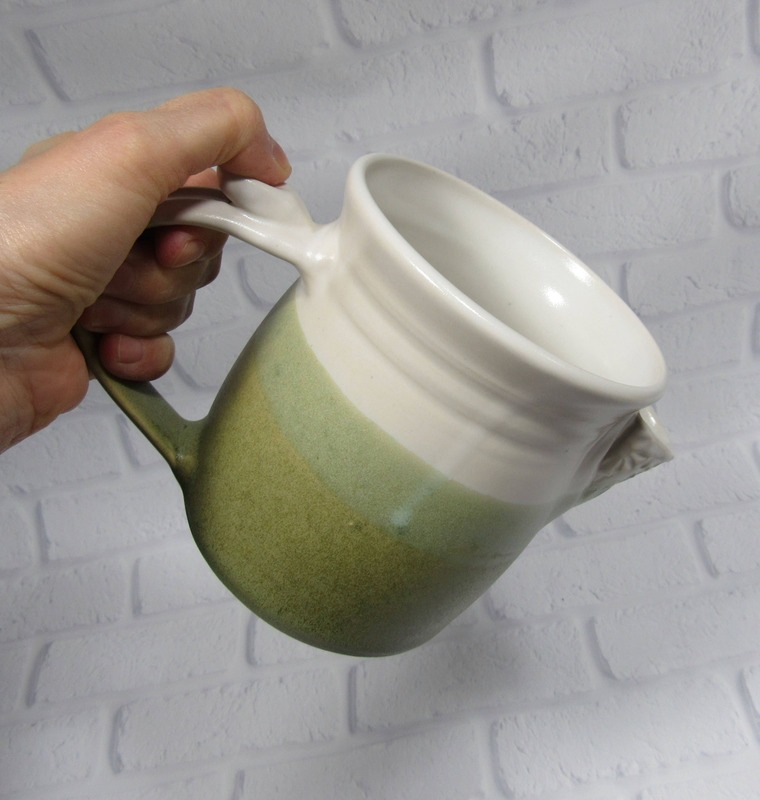 It holds almost 2 cups (16 oz). 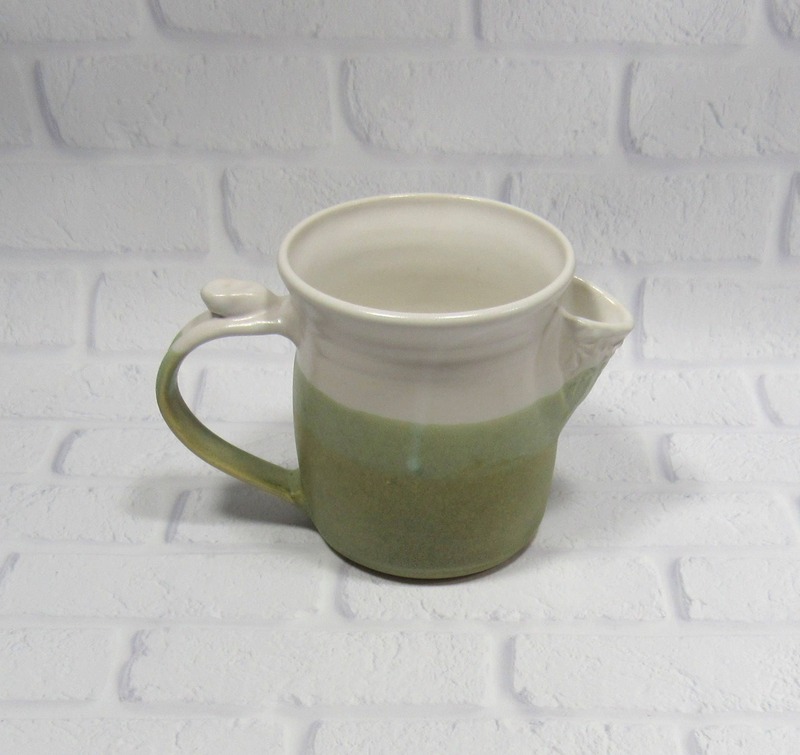 I made this jug on the potter's wheel in my Virginia studio. 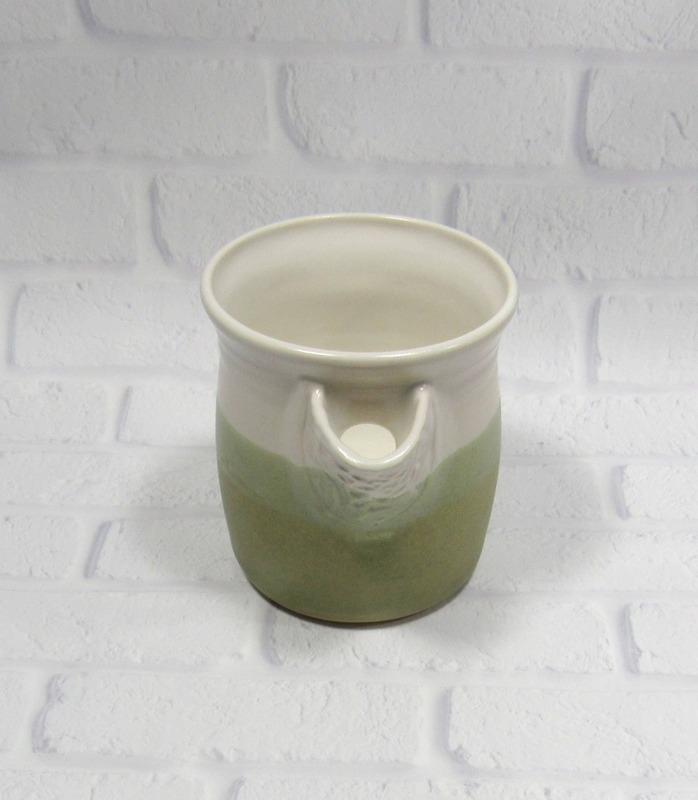 After the clay was dry enough to handle, I trimmed it to refine the shape and added the spout and handle. 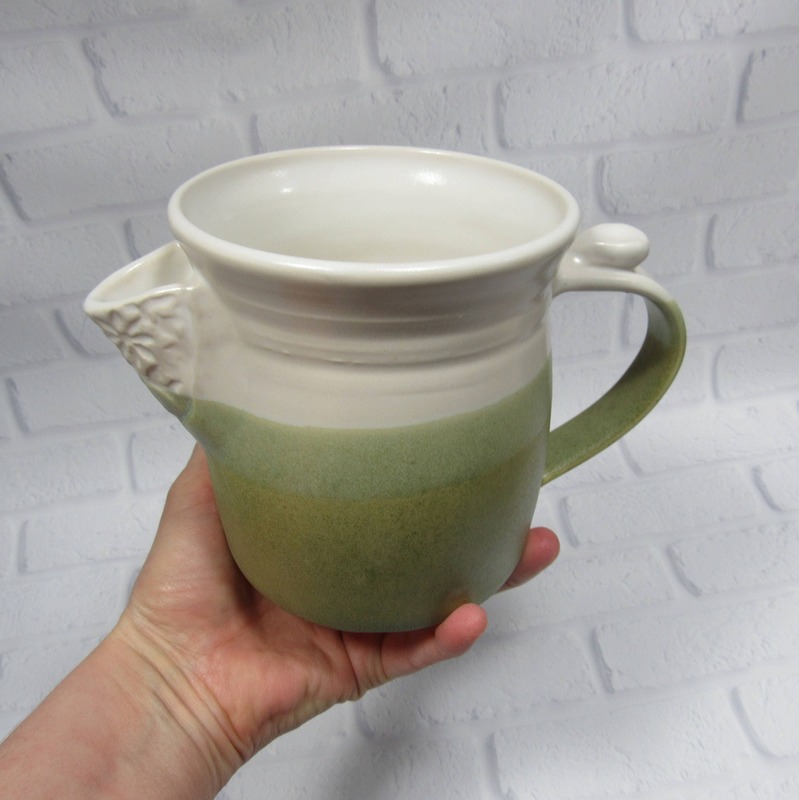 The satin white and green glazes are one of my favorites combination.